With Metric Insights Trusted Server Authentication, it is possible to allow users of an internal web application to login to Metric Insights automatically through a proxy url. The primary purpose of this facility is to to integrate Metric Insights with an existing web application. A common use case for this capability is if you have already developed an internal web portal for customers or employees. These customers and employees have already logged into your web portal, and you want those logged in users to automatically have access to Metric Insights as well. NOTE: The format of the External Application Editor is slightly different in Version 3. The External Application Editor opens. Using the MI username, and the application id and application key obtained above, request an authentication token with an HTTPS POST to https://company.metricinsights.com/api/get_ticket. 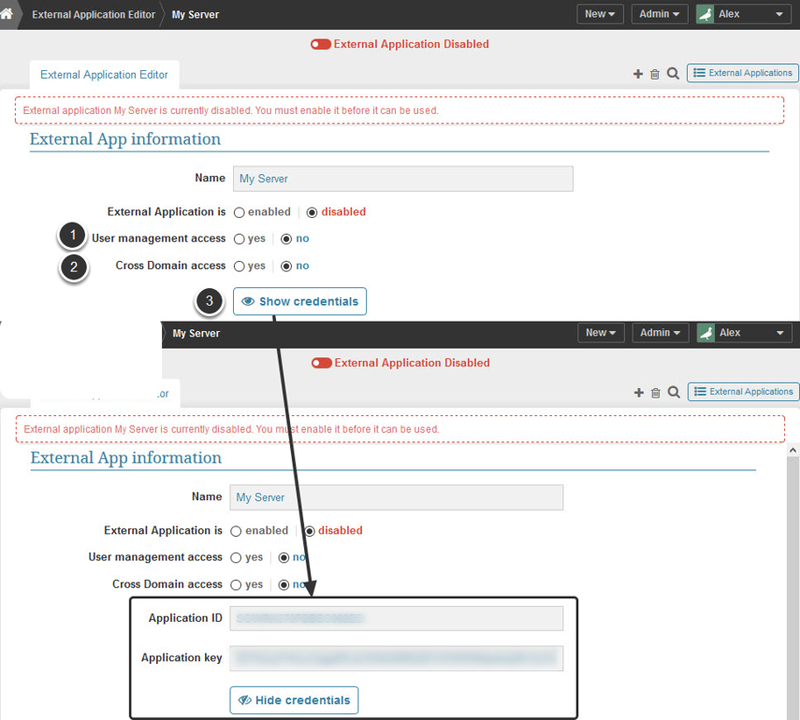 The required POST variables are 'user', 'application_id', and 'application_key'. Redirect the user to https://company.metricinsights.com/ticket/<ticketValue>/<RELATIVE_MI_URL> where RELATIVE_MI_URL is blank for the MI dashboard, or pointing to a specific MI element. For example, this proxy script could live under https://yourportal.com/mi.php and whenever you wanted to link to https://company.metricinsights.com/<RELATIVE_MI_URL>, you would instead send your users to https://yourportal.com/mi.php?url=RELATIVE_MI_URL. The sections in bold would need to be edited for your organization. Also, I'm trying to embed this into another page, so I'm guessing I would in my page do something like..
and it would embed the resulting URL into the page?